This digital flipping-page book that contains three photos plus three wise sayings about the Bible. 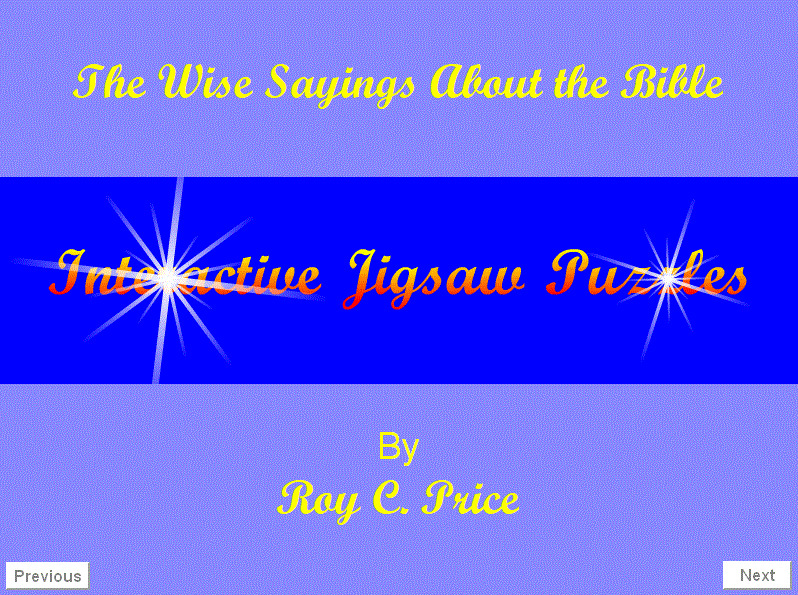 And that they have been converted into the software of Interactive Jigsaw Puzzles for you to enjoy interlocking for hours of pleasure and fun! Plus the Last Page is about the FREE offer of a huge digital catalog book if you ask me to send it to you via email.